This summer the wildly successful second annual RibFest 2016 was held at Open Hearth Park in Sydney, Cape Breton. The event is organized by the Rotary Clubs in the area and funds raised are donated to the Hospice Palliative Care Society of Cape Breton County. The organizers, no doubt, have plans for the third annual next summer. Hospice Palliative Care provides compassionate end of life care for people predominately suffering from cancer, but also end stage respiratory, and cardiac disease as well as other terminal illnesses. There are future plans for a hospice residence as the demand for palliative services continues to grow. And this was said without a trace of irony, but in the spirit of true accomplishment - a feat to be celebrated. In Cape Breton, the overall cancer rates in both incidence and mortality are substantially higher than Canadian rates, and higher than the rest of Nova Scotia. There is 20% more cancer here than in any other province. The rates are similar for increased mortality for heart disease. Cape Breton residents have higher standardized rates of ischemic heart disease, heart failure, lung, breast, prostate and colorectal cancer. Cape Breton has a 25% higher rate of colorectal cancer than the national average. There is an irrefutable link between food, diet, lifestyle and cancer, heart disease and other chronic diseases. A healthy, balanced diet with plenty of fibre, fruit and vegetables with less red and processed meats can help cut cancer risk. There is also growing evidence that meat cooked at high temperatures, or open flame as typically found in grilling, produces chemicals that can cause cancer. Researchers found that high consumption of well-done, fried, or barbecued meats was associated with increased risks of colorectal, pancreatic, and prostate cancer. So the prospects of raising funds for a healthcare initiative by promoting the consumption of tons of high fat, grilled meat slathered in sugary sauces and marinades sends a troubling message to the people, the families and, especially, the children and young people of Cape Breton. 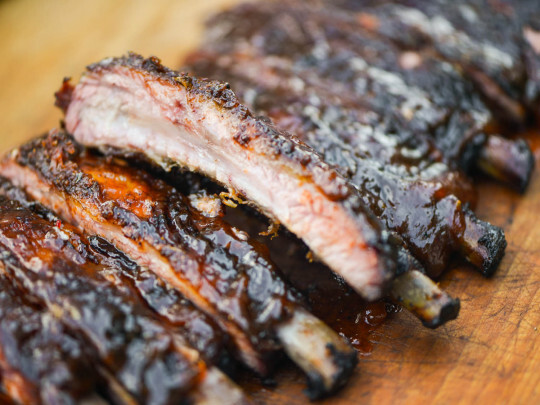 In light of the disturbing health statistics in the region, raising health funds through an event like a RibFest should result in some serious soul searching by community and health care leaders. Some may argue it is the moral equivalent of raising funds for an alcohol treatment centre by having a massive beer and wine tasting event. In this fundraising case, the medium is the message. We have to ask, “Is the ‘RibFest’ message one we want to promote in our community?” Or, maybe, we find other ways to raise funds for healthcare that promote healthy food, that reflect an ethic of care for people, for the environment and for the overall well-being of our communities.